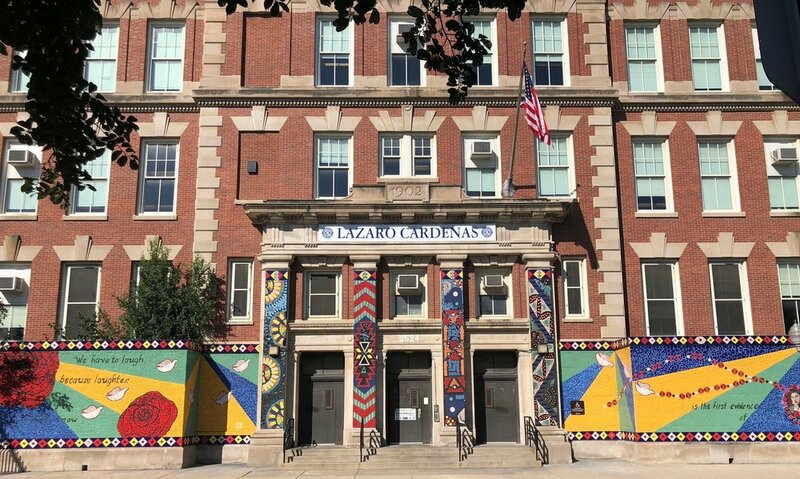 Description: This West Town Elementary School is home to one of our most recent murals which depicts flower and aztec designs. 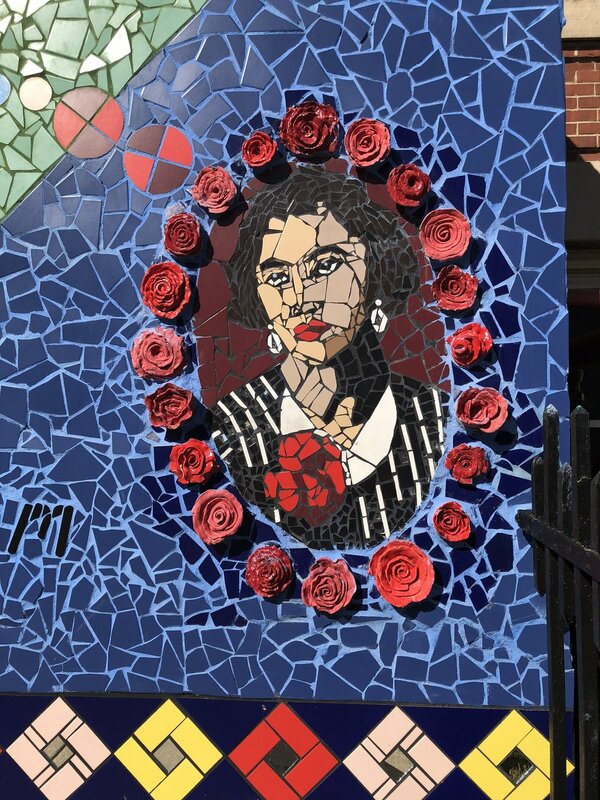 The mural embodies the latino culture that is at the core of the school. 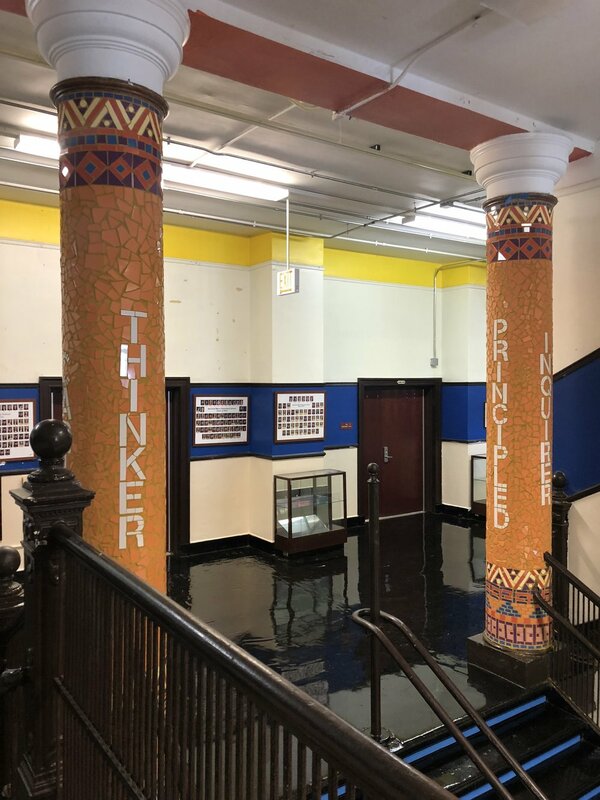 The indoor columns of Moos Elementary contain 4 words that embody the mission of the school decorated in a Latin American inspired theme. 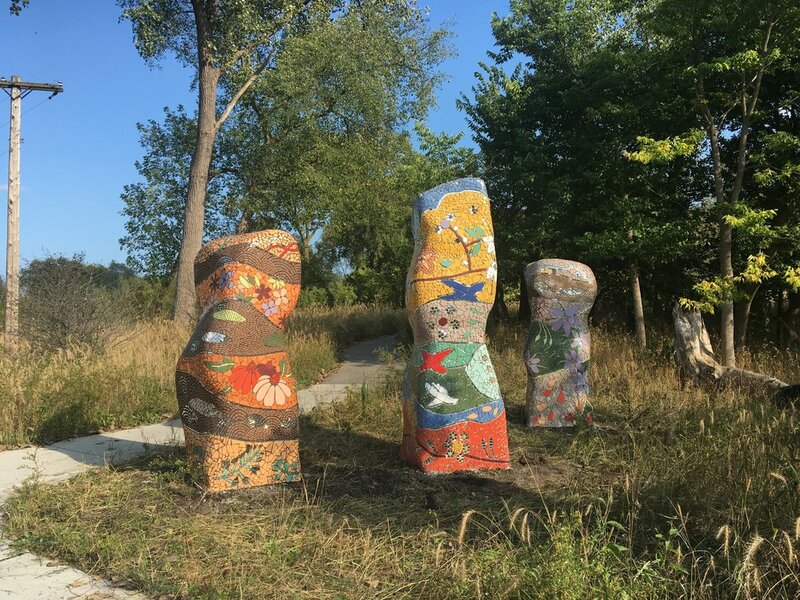 Description: Inspired by the lush beauty of the West Ridge Nature Preserve, these three mosaic tree tower sculptures, situated along the walking path, pay tribute to the surrounding wildlife.